soft colors on valentine’s day. so i had originally bought this dress for my rehearsal dinner that’s in 8 months…like 5 months ago! haha! i like to get ahead of myself sometimes. 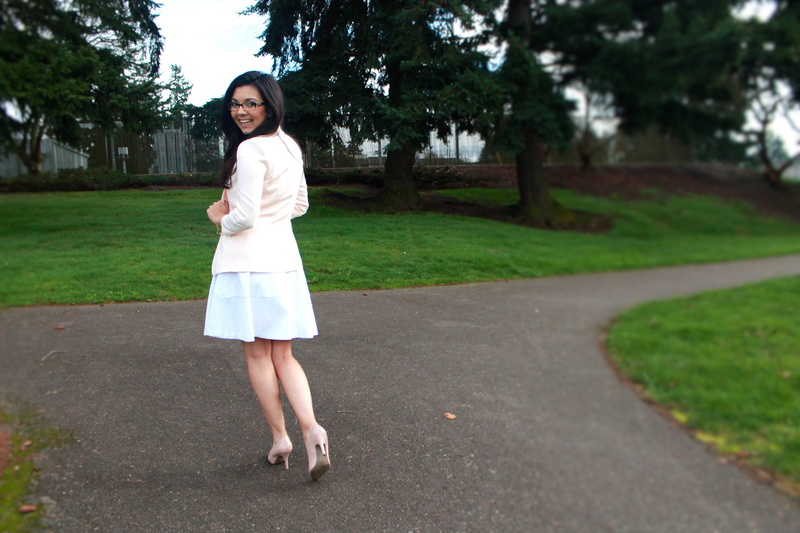 but it was screaming my name from my closet, “wear me…wear meeeee!” so i caved. i almost always go for a softer color rather than a bold one. 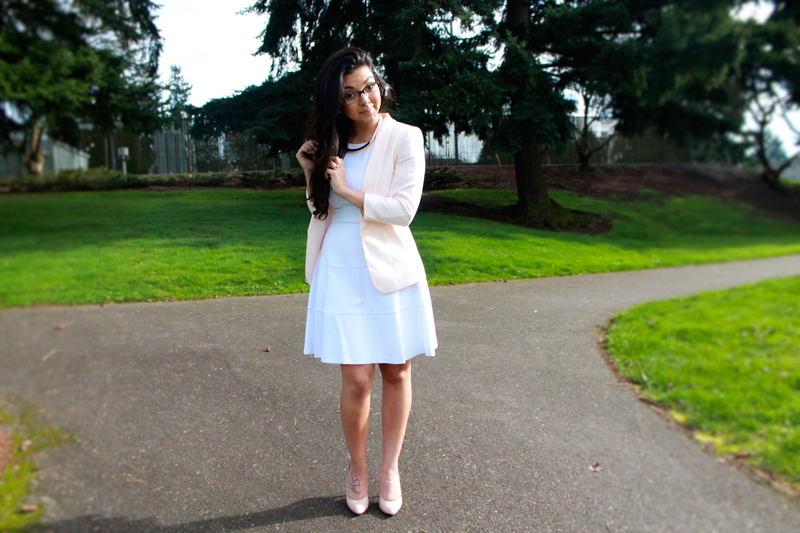 so this blazer was the perfect touch against this pristine white dress! hugs and big kisses on this mushy gushy day! It’s a beautiful dress and you look just as beautiful and serene! Glad you wore it.